The Sembler Company recently announced two new tenants contracted to occupy outparcels in Oakleaf Town Center, a 750,000-square-foot, open-air regional shopping center in the Jacksonville, FL area. 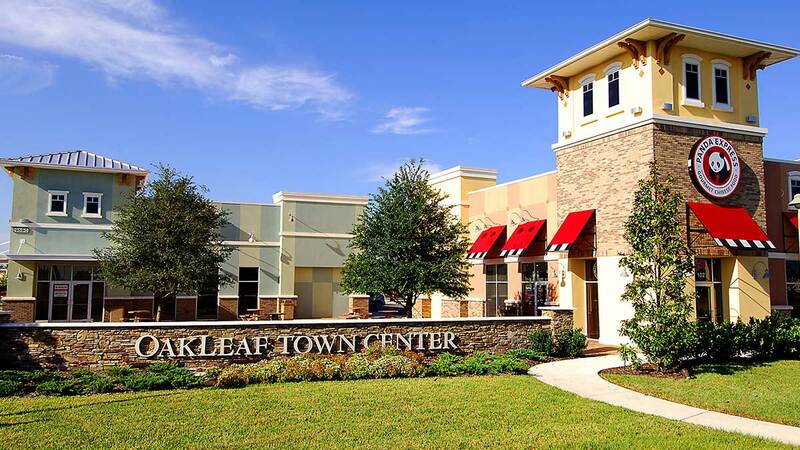 Sembler developed Oakleaf, and continues to manage and lease the center for owner Katz Properties. Saint Leo University will occupy a stand-alone, 8,400-square-foot outparcel space near The Home Depot. Across from Saint Leo University, a Jimmy Hula’s restaurant will occupy an outparcel near La Nopalera Mexican Restaurant and Zaxby’s. The new Saint Leo University Jacksonville Education Center will offer associate and bachelor’s degrees. Degrees include bachelor’s degrees in accounting, criminal justice, human services, elementary and middle grades education, business administration, psychology, computer information systems, and health care management. Administrative staff and faculty will begin moving to the new facility in December and classes will begin in January. Oakleaf Town Center is located in the northwest quadrant of the Argyle Forest Boulevard and Old Middleburg Road intersection, within the Oakleaf Plantation DRI in the southwestern portion of Duval County west of Orange Park. The center is anchored by SuperTarget, Kohls and Home Depot, along with a number of popular restaurants, fast food options, and retailers including HomeGoods, Ulta, Ross Dress for Less, PetSmart and more.